Investigators from the Sacramento County Sheriff's Department are describing a hit and run incident that claimed the life of a pedestrian as an intentional act. 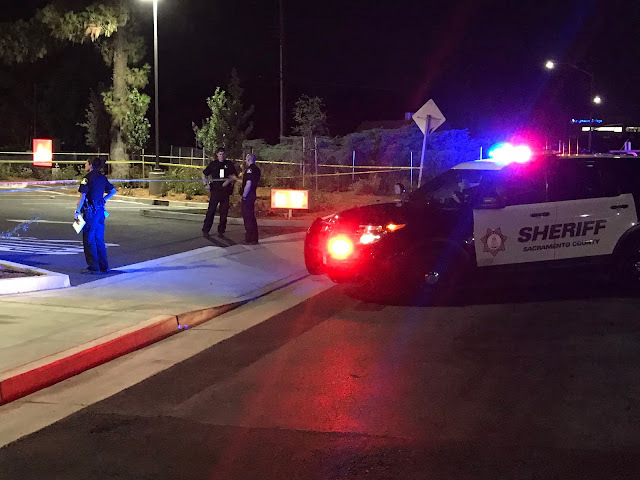 According to information released by the sheriff's department, the unidentified male victim who appeared to be Hispanic was run over by a vehicle on the 4600 block of Watt Avenue sometime before 8:26 p.m. on Wednesday, July 25. Sheriffs deputies and emergency personnel from the Sacramento Metropolitan Fire Department found the victim in an adjacent parking lot where he was pronounced dead. Witnesses told investigators it appeared the victim was intentionally run over and that the suspect fled the area southbound on Orangegrove Boulevard. Witnesses said the vehicle was a light color, a full-size pickup truck. There is no known motive at this time, and there are no suspects in custody. Detectives are seeking information regarding this vehicle and its occupants or anyone who may have witnessed the incident.